Push the boundaries with a stunning limitless design. 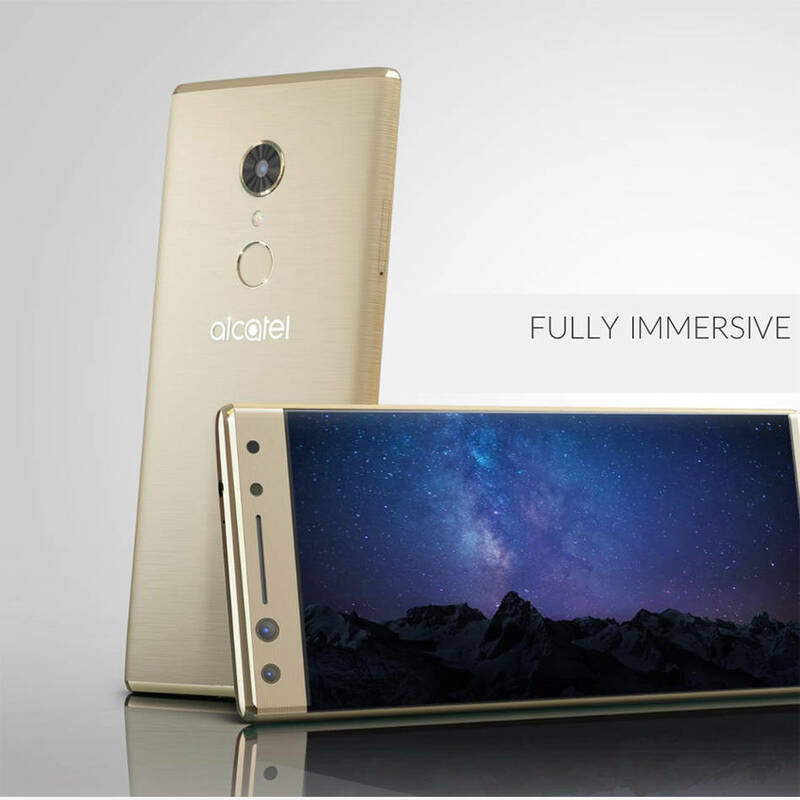 5.7'' HD+ ALCATEL FULLVIEW 18:9 DISPLAY. Discover an extensive screen for an encompassing experience. Small in the hand, easy on the eyes-at 5.7'', you can get the best of both worlds on a vibrant, limitless display. Bezel-less design: Appreciate an unrestrained screen that blends so seamlessly into your viewing experience, you'll forget it's even there.Ultra compact: Get a bigger screen with a smaller footprint that's 15 percent more compact than other leading phones.Curved to perfection: Precise curves from front to back provide a strong, seamless unibody. More light and more content with low-light detection and auto-adjusting to 120º super wide-angle shooting. Adjustable field of view: Shoot smarter, not harder. Intelligent Field of View adjusts from portrait mode to super wide angle depending on how many faces are in the frame automatically. Light even in dark conditions: No light? No problem. Low-light detection lets you shoot even in the moodiest lighting conditions. Spectacular shots are in the palm of your hand with an ultra compact body and fingerprint shooting, letting you get your perfect shot instantly. Access your phone immediately and securely without having to deal with passcodes or patterns.